This is an interesting story, I have heard of companies being bought to acquire domains, cars to get number plates, people hired to consult to obtain twitter handles but this is a little different. Its not the first time a cash injection has “helped” a country or nation to hand control of its ccTLD over to a private entity, nor is it even the first time someones bought a school to get a domain name but its still unique. I think the first were the tiny island Tuvalu who “leased” the rights for .TV (Country Code TLD) to a Verisign Company (dotTV) in return for a $50,000,000 advanced payment followed by $1,000,000 a year in a 12 yr deal. Some other sources omit the $50m and suggest its just $1m a year for 12 years. The details are somewhat varied, what is clear is, they gain 10% of their countries total income from .TV domains and its sorely needed. There were lots of discontent from the government of Tuvalu over the deal, more information here. According to Wikipedia, this has been resolved and they are now paid approx $1,000,000 per quarter. Which would account for close to 25% of their GDP. A few years ago a company called Punto 2012 successfully invested $100,000 in a small Montenegreo city in return for said country releasing its hold on the .BAR ccTLD. Which is now available for bobs.bar or newyork.bar domains to be registered like any other. As of the time of this article there were 6,256 domains in the .BAR registry, with an average sale price of £50/$65 a pop, giving it $407,000 per year in registrations according to NameStat. The $100k is being paid yearly at a rate of $10,000 a pop to fund a school until 2024. I would assume come 2024, this number could either sky rocket or plunge depending on the success of .BAR. Currently I would say its going to increase somewhat perhaps fund multiple schools. More from Register.BAR here. Something along these lines were done in 2014, before .BAR. GoDaddy who using the Laos country code extension which is .LA rebranded it as “.LosAngeles” for LA based businesses. The .TATA TLD is a little different to the other examples. The Tata Group are a private corp with $108,000,000,000 revenue, yeah 108 BILLION, so very deep pockets. They are not looking to assume control over .tata an then start selling first/second level domain under it like .TV and .BAR have. Instead its going to be I assume much like .BARCLAYS or .BBC used for company emails and websites. Looking at the list of TATA Associated Companies, its extensive even in the UK with Jaguar, Land Rover, Tetleys Tea, Fiat and Daewoo all in the list. dotTATA as far as I know is is Moroccan, and presumably a quite poor area, so I suspect a huge chunk of change shall change hands in exchange for the release of .TATA, perhaps even bigger than .TV depending how badly Tata Group want it. What else is interesting is, that TATA apparently produced a letter of release from Morocco in 2014 only for the Moroccan Digital Minster to basically discredit the claim. I get the feeling this will cost them dearly, on the assumption it were not genuine. Its been suggested that much like Punto 2012, they invest… erm sponsor…erm build and sponsor some (a tonne of) schools in Morocco, and this would certainly open up lots of doorways. Personally, if it were me and I’d be signing my homes peoples right to own a .town/city I’d want to wrangle as much money as possible. If my people were able to register their names still like in the case of .BAR or .LA, I’d just want a cheaper wholesale rate for residents or something as well as a bung. 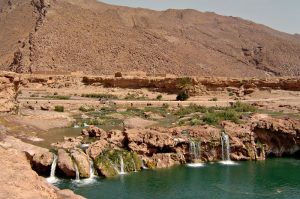 I had a google search of Tata, Morocco and its a stunning place, one particular Oasis (pictured above) looks so beautiful. Thomas Paz who’s image I borrowed, has some amazing photos all over Morocco, seems he’s a cyclist. Check them out on Tomas Paz’s Wikiloc page. It may just set a precedent for all the deep pocketed companies to simply buy it from the poorer countries/cities. If the countries/cities are happy and the deal is renegotiated/tendered from time to time, I guess its all good.